Are you between the ages of the 6 and 14? 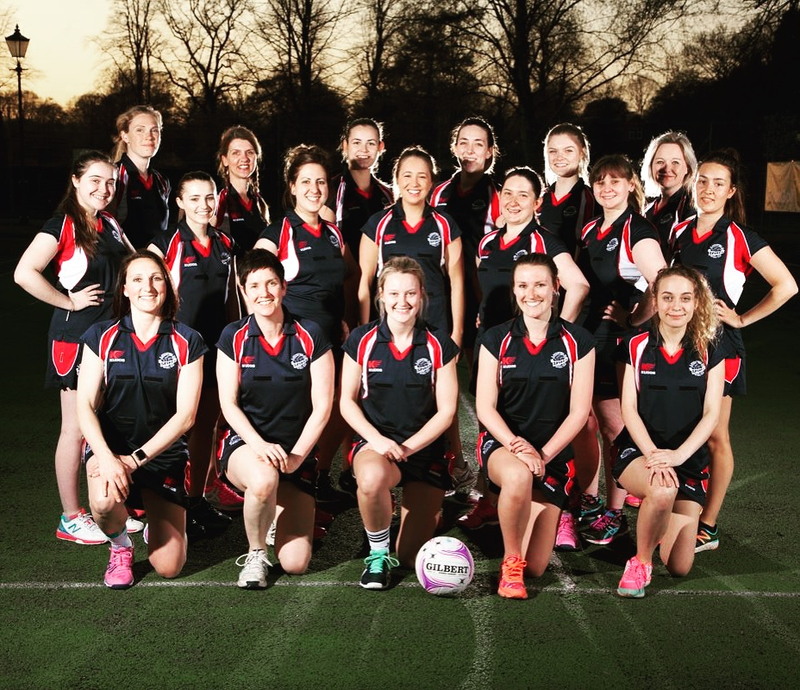 Interested in a fun and friendly Team Sport? 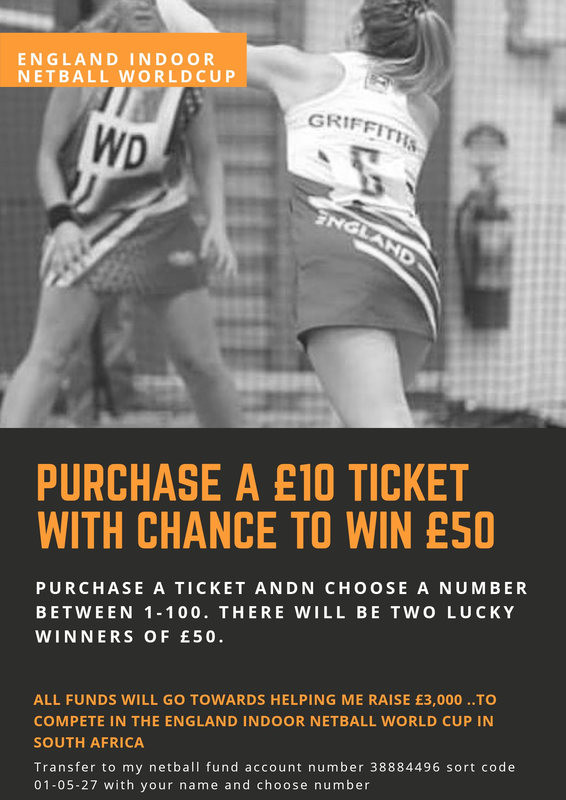 Staffordshire’s very own Brogan Griffiths is seeking support with sponsorship or funding as she has been selected for the England Indoor Netball (NETS) ladies squad to complete in the upcoming World Indoor Netball Championships in South Africa this August! The tour is self-funded and Brogan is looking to raise £3,000 to achieve the dream of representing our country. Any sponsors/business information and logo can be attached to all of Brogan’s social media networks and she will help to promote your organisation. 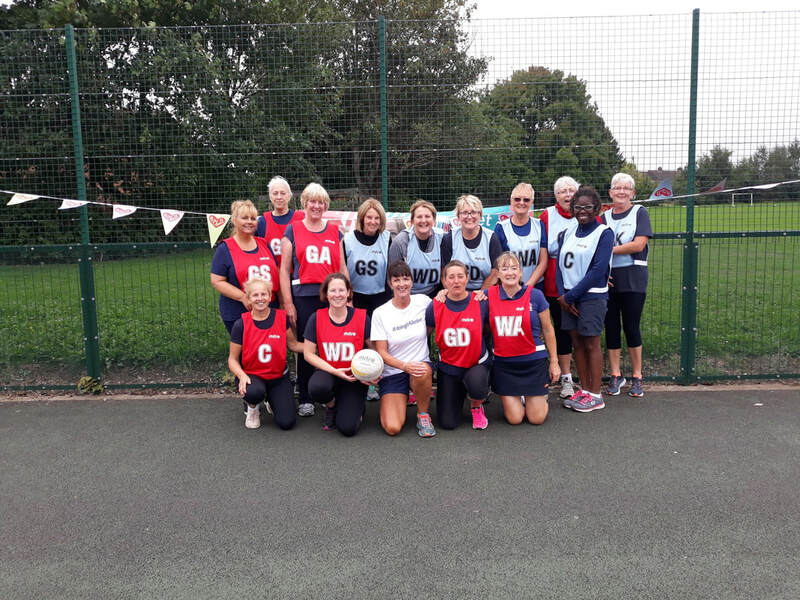 The County netball festival compromised of 10 primary school High 5 netball teams representing each School Partnership across Staffordshire competing to become Staffordshire County High Five & School Games Champions. 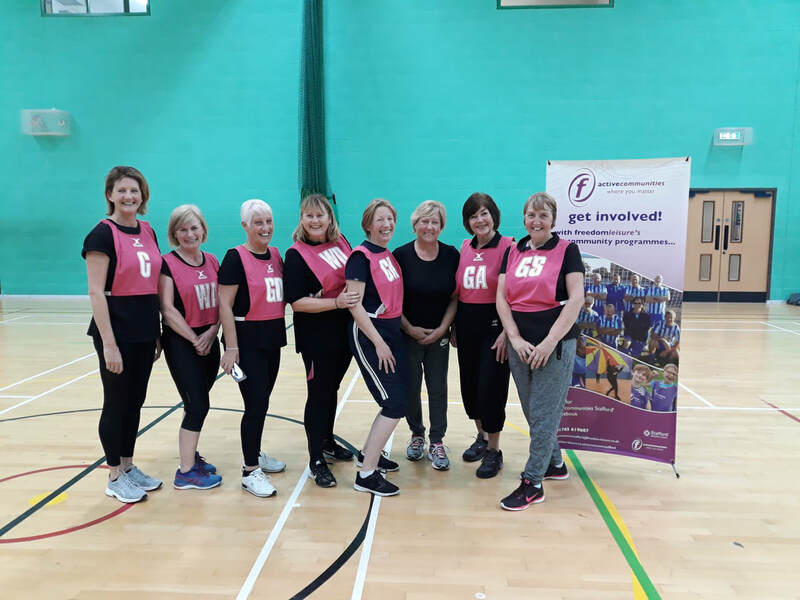 ​The netball teams were placed into two sections, each playing one match against the teams in their group with the top two progressing to the semi-finals. Young leaders from local schools put their skills to the test with some officiating and scoring. 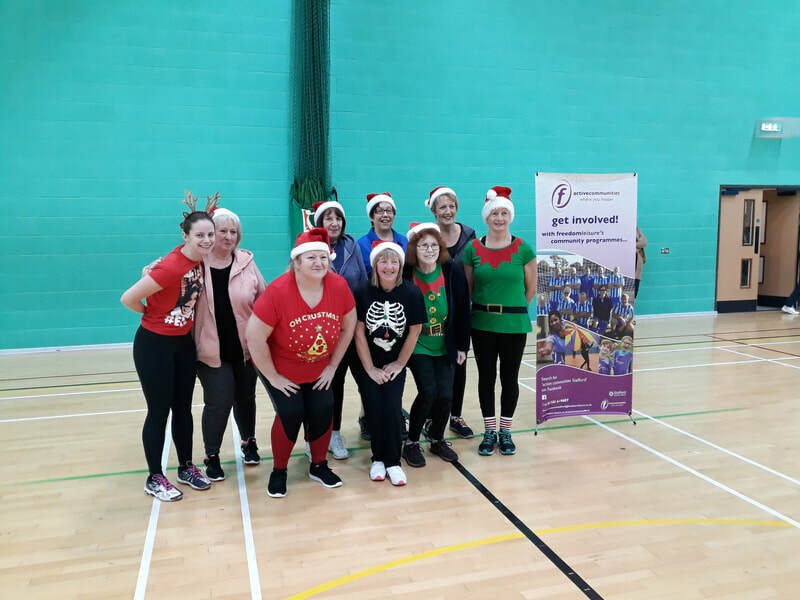 The young leaders were also mentored under the supervision of volunteers from the Staffordshire County Netball Association. 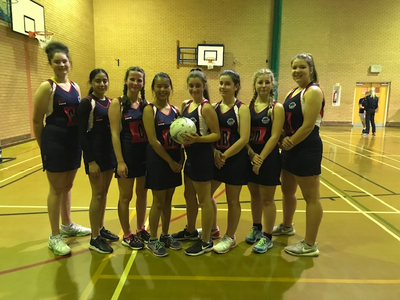 The fixtures progressed, showcasing the counties best netball talent. The atmosphere was great with lots of smiling participants and support from spectators on the viewing balcony. Congratulations to our latest volunteer of the moment, Laura Colclough. 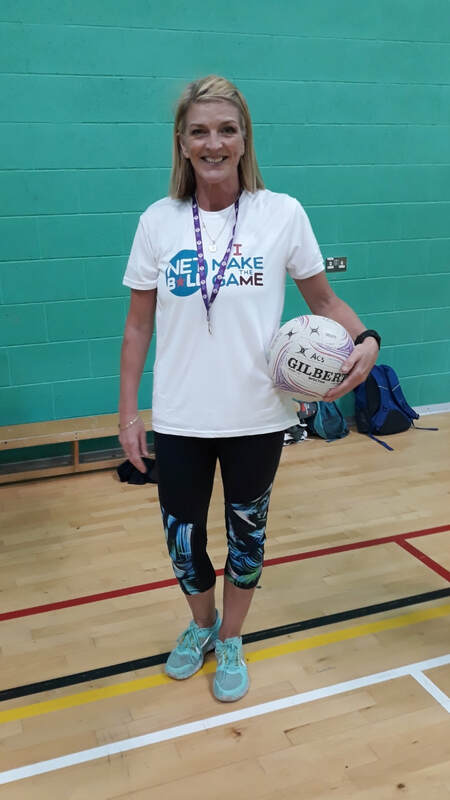 Laura is a Walking Netball host who goes above and beyond to not only provide amazing Walking Netball sessions in the local community, but also organises tournaments, get-togethers and even trips abroad, all in her own free/spare time! She's so much more than just a host, she's a listening ear, a friend and has created a wonderful netball family in Stafford. More recently Laura also dealt with a serious incident, and was so calm and professional throughout. 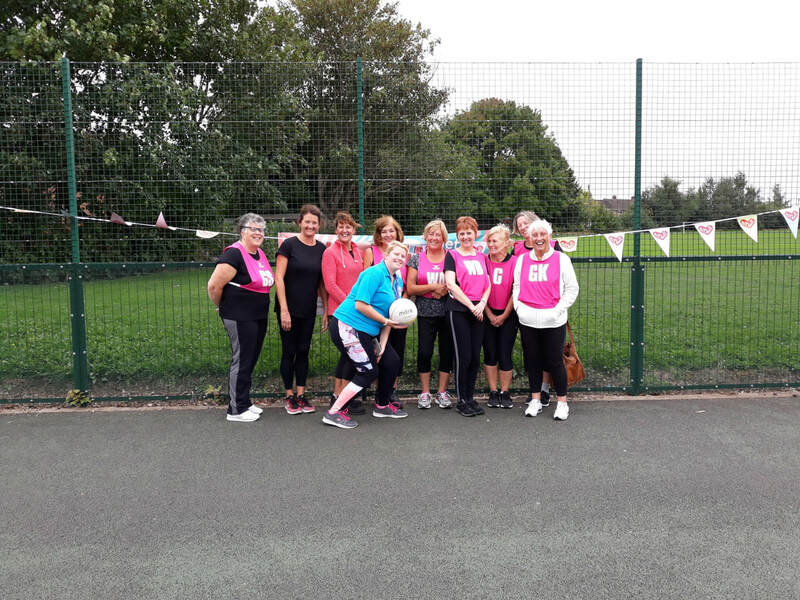 As well as all the above, Laura also supports the Stafford Netball League in various roles and is an all-round local superstar volunteer. 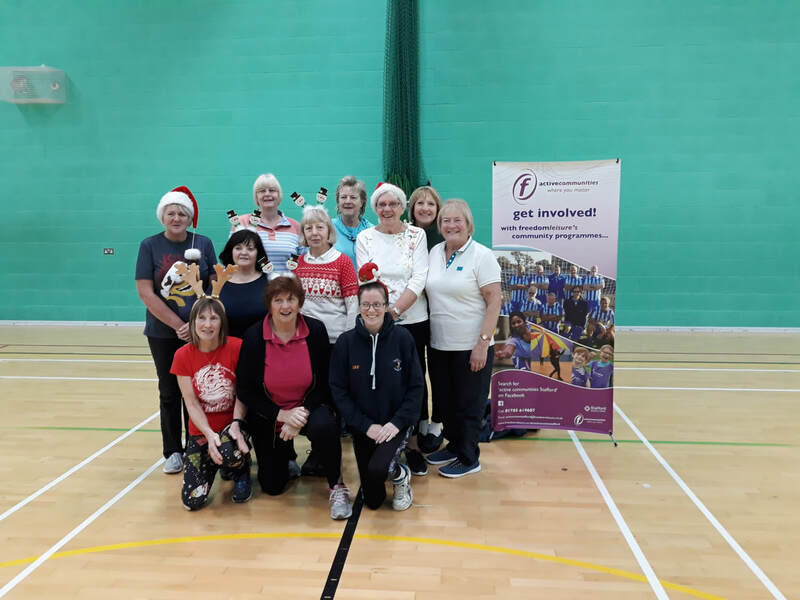 On Thursday 13th December walking netballers were invited to Stafford Leisure Centre for a fun and festive Christmas walking netball festival ran by host Laura and Active Communities Stafford. 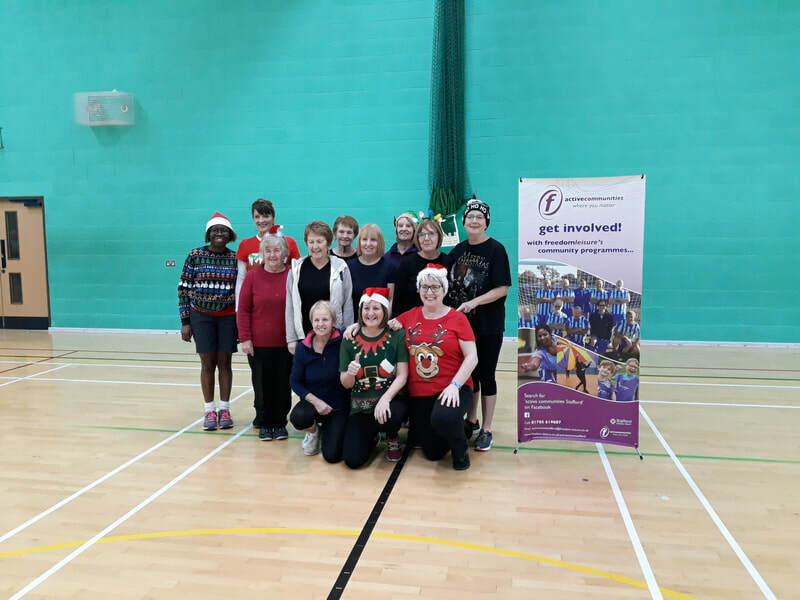 5 teams took part in the festival, which included mince pies (afterwards) and a Christmas pudding each! Everyone played brilliantly and there were some fantastic Christmas outfits on show. The fight for the top position was very close with the win awarded to Freedom Stafford, beating the Fun Walkers by just 2 goals. There was also a raffle which raised a whopping £175 for Birmingham Children's Hospital Charity. 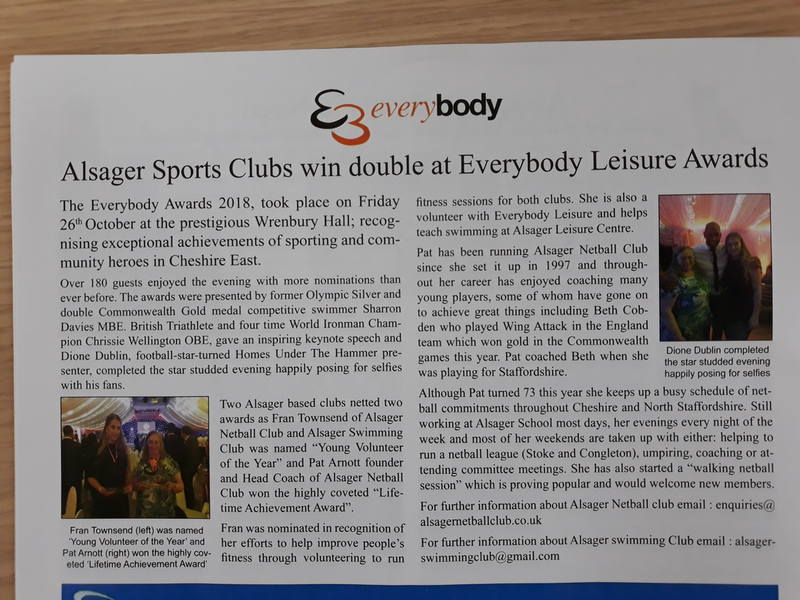 Well done all and especially to Laura and Active Communities! Pat Arnott awarded Lifetime Achievement Award! Lichfield Spires Netball club first formed off the back of a session aiming to get women back into the game; Back to Netball. 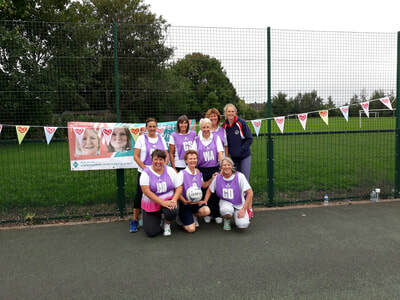 Fast forward almost 5 years and the now affiliated club offer netball across the Lichfield district to all ages. The club has seen particular growth this year launching its new junior section, which has grown every week since starting. The first sessions ran in March and since then the club has welcomed over 100 girls aged from 7-15 years old. The club also held its first junior tournament and in September entered the Staffordshire County Junior League for the 2018/19 season. Earlier in the year the club also started hosting England Netball’s newest form of the game; Walking Netball, in association with Lichfield District Council. This session has hugely benefited the local community, and the group even won their first trophy at the county Walking Netball festival in September. 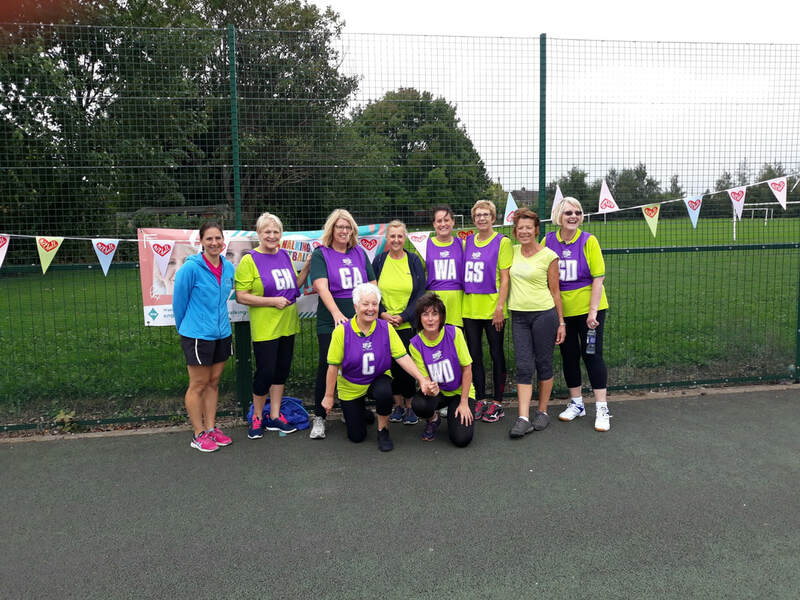 The Walking Netballers have also joined the club in volunteering roles and can be seen wearing the Spires club kit! Established in 1947, the Stafford and District Netball league is celebrating a big birthday this year, its 70th anniversary! 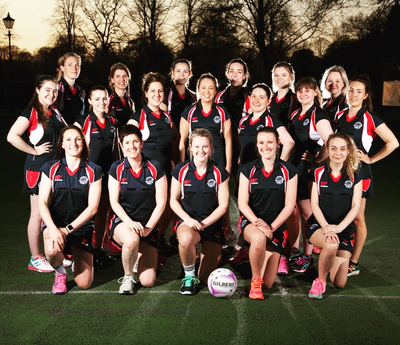 The league has gone from strength to strength as every season passes, seeing more teams entering, and offers competitive netball in the area to women and girls of all ability levels. 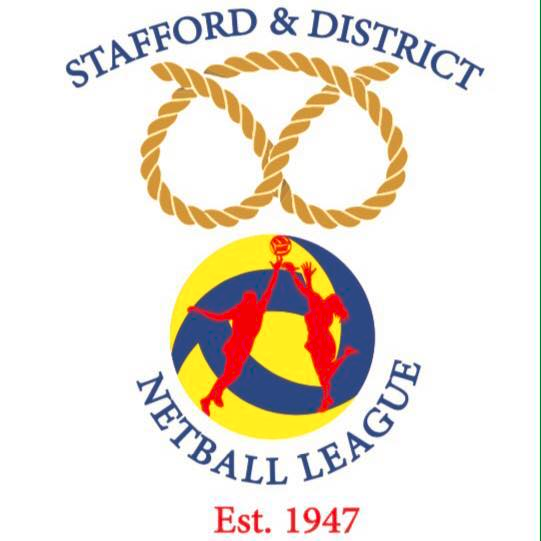 At present the league has 19 teams playing in two divisions across 3 sites in the Stafford borough. 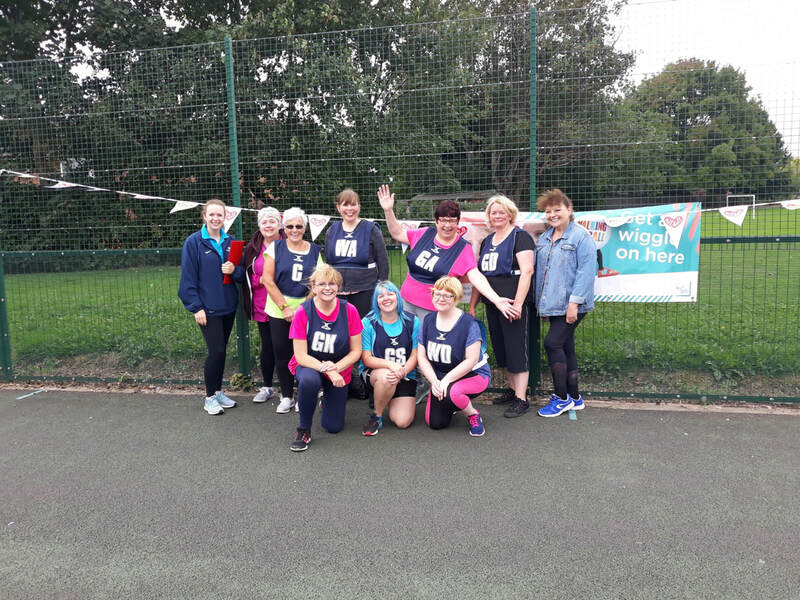 The league also hosts England Netball’s newest version of the game; Walking Netball along with Netball Now sessions throughout the summer months, offering 12 months of non-stop netball in the area. 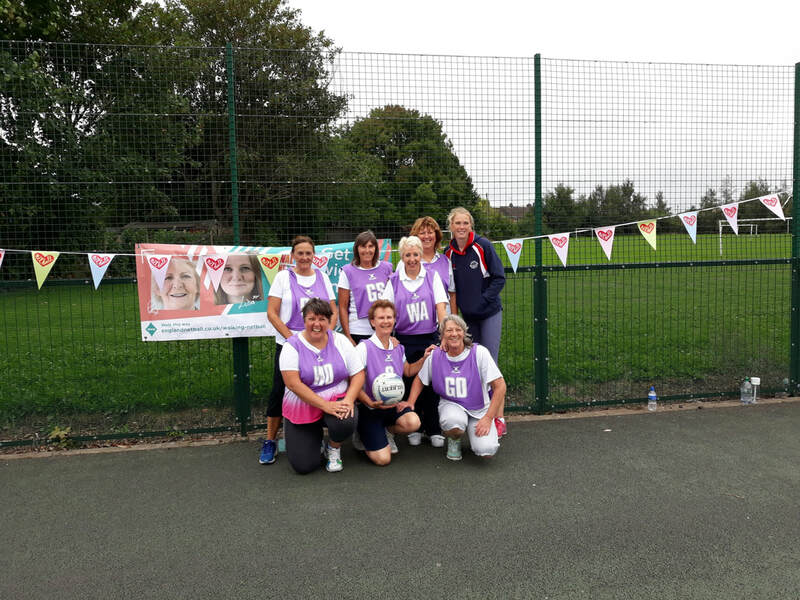 Without the dedication of its volunteers spanning across 70 years, netball in the borough simply wouldn’t be as thriving as it is today. On Monday 3rd September 2018 seven teams from around the county came together at Stafford Manor High School for the counties very first Walking Netball festival. 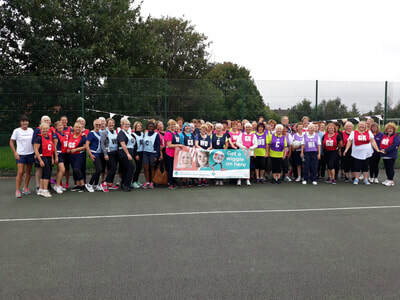 The festival teams came from Newcastle under Lyme, Hednesford, Walsall, Lichfield, Burton upon Trent and Stafford. 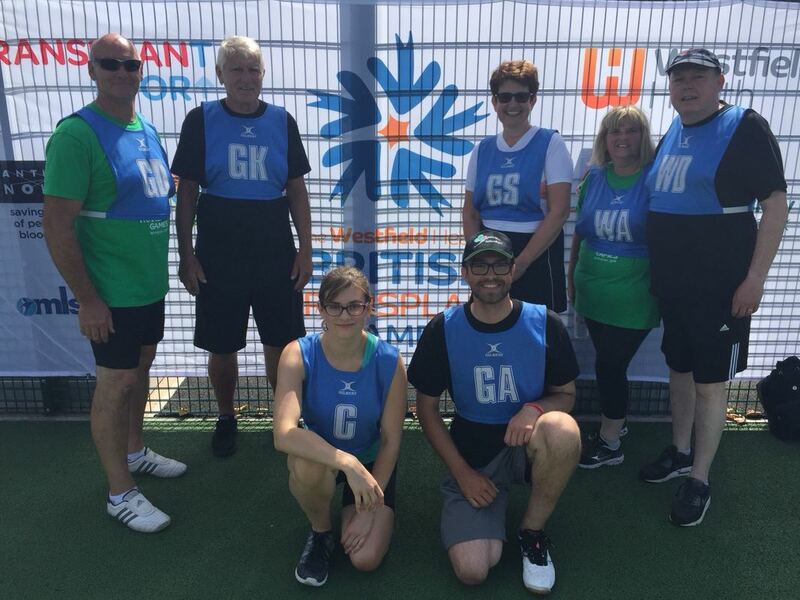 There was varying levels of experience with some sessions having played together for 2 years and others for as little as 7 weeks, but that didn’t stop anyone from having a great time. The festival was played in a round robin format meaning all teams played each other once. Throughout the day the comradery between teams was wonderful to see, with some definitely taking the competition seriously! After lunch the points between the top 3 were very close and we knew the final result was going to come down to goal difference. 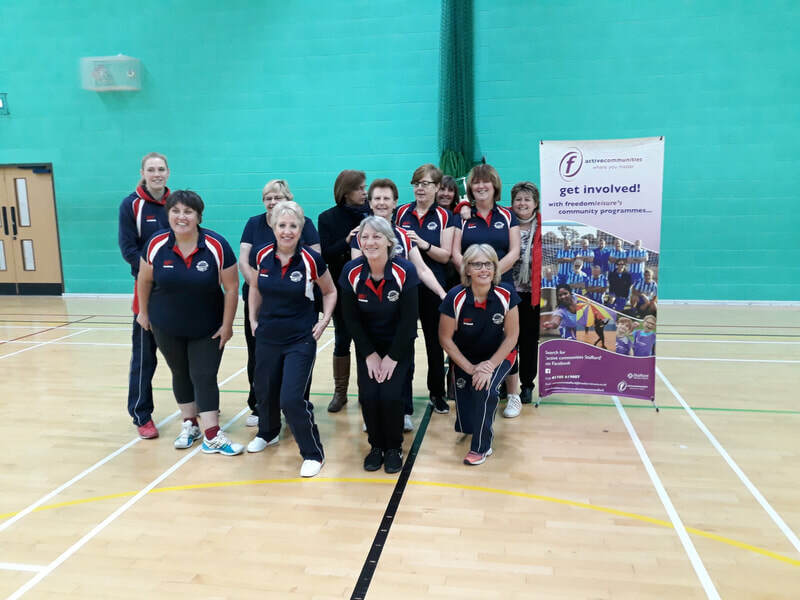 A huge thank you to the Walking Netball hosts who gave up their free time to support their teams, in addition to umpiring the games. 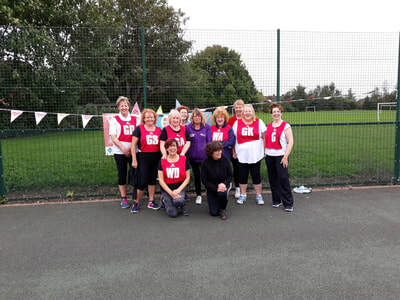 We also had 3 Walking Netballers umpire and play, so a special thank you to Jean, Wendy and Bernie. During the festival there was also a small cake sale which raised £30.50 for Cancer Research UK. We are now really looking forward to our next festival in 2019! 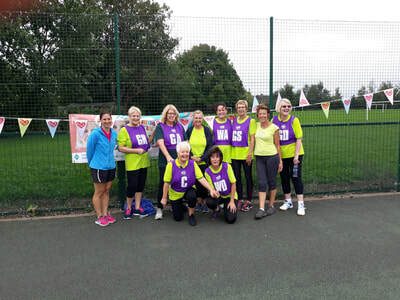 To find out more about Walking Netball in Staffordshire visit: https://www.englandnetball.co.uk/my-game/walking-netball/ or contact your local Netball Development Officer; Kate Woods on kate.woods@englandnetball.co.uk or 07545 924957. 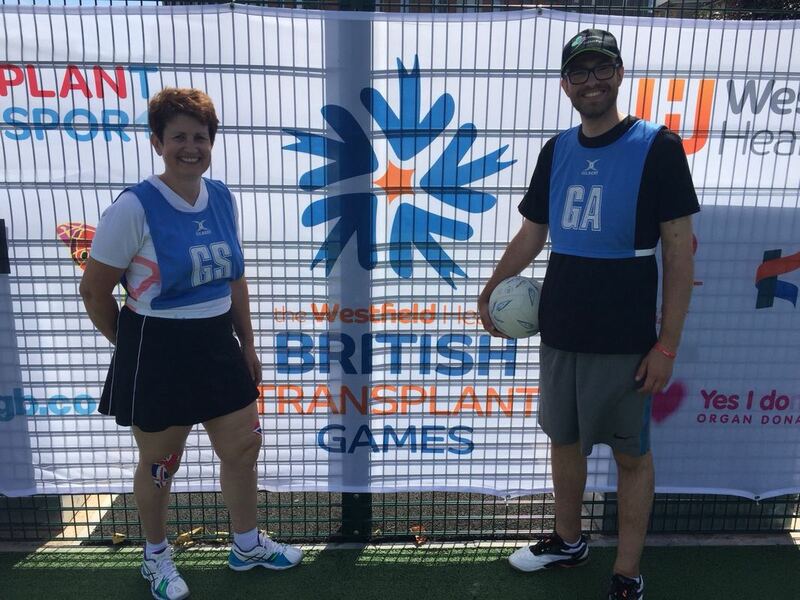 Having become a Live Donor by donating a kidney to her son in August 2017, Stoke-on-Trent and Staffordshire’s Carolyn Owen (Netball Coach at SOT College and Harriers Netball Club) represented Nottingham City Hospital with son Luke in this year’s Westfield Health British Transplant Games in Birmingham from 2nd to 5th August. Not only did they win Silver medals together in the badminton they were also partners in the shooting circle in the Netball competition held at Birmingham University with Luke playing GA to Carolyn’s GS and Dad Geoff also took to the court playing GD. 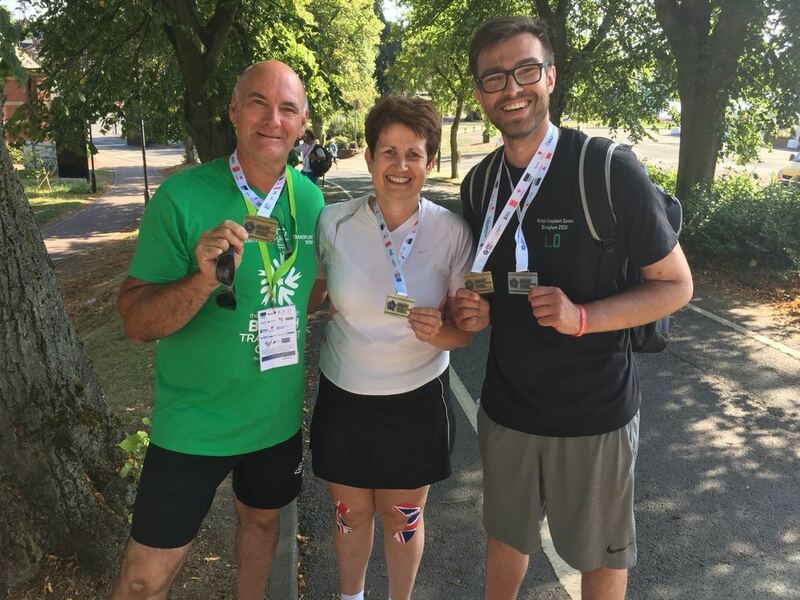 Their team called the “Probably Notts” won all of their matches and came away with a gold medal. ​In total, 8 teams from hospitals all over the country took part comprising of players that were donors, transplant recipients or family supporters. 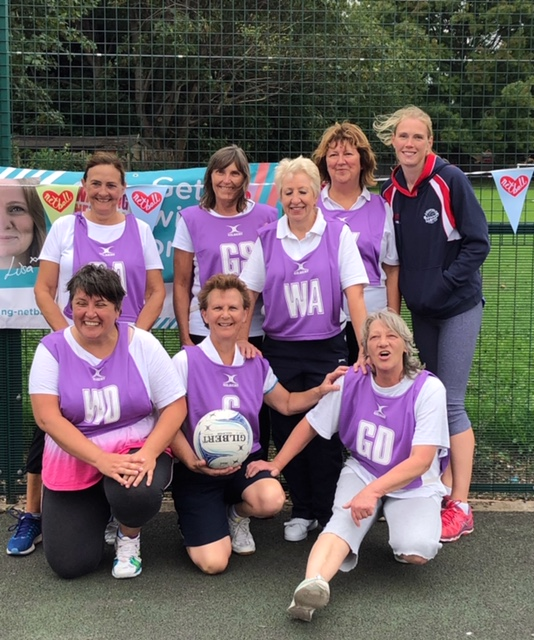 The netball epitomised the purpose of the Games “to celebrate organ and stem cell donation and transplant” and “provide fun, enjoyment, health and fellowship”. 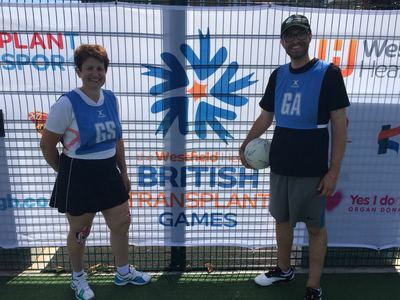 Roll on the 2019 British Transplant Games in Newport, South Wales and the 2019 World Transplant Games in Newcastle upon Tyne.